‘Polyurethane’ is not a useful specification term on its own. It is akin to saying, “I want a form of transportation,” as opposed to something much more specific, like, “I want a four-cylinder sedan.” Getting to the point where a manufacturer or supplier will only offer products meeting a specific project’s needs will require more precise and non-proprietary terminology that makes performance the outcome. The term ‘polyurethane’ simply means many repeated units of urethane, much in the same vernacular as ‘polypropylene’ or ‘polyester.’ Often, these coatings are referred to as ‘urethanes,’ similar to the way terms like epoxy or acrylic are employed. They are all polymers of the key reactive or function group. The urethane group confers many of the traits of a polyurethane—most notably, adhesion—in much the same way most acrylic paints share ultraviolet (UV) resistance. Typically, a Technical Data Sheet (TDS) for a polyurethane coating will include a long list of tests, often with some impressive numbers. A few of these will find their way into various specifications. Perhaps they will include a benchmark product and later a few ‘equals’ will be added—such a specification is representative of the standard of care for using a polyurethane in today’s construction marketplace. This article seeks to add some background and a few key details so specifiers understand what type of product is actually being offered, what are its intrinsic performance attributes, and whether it truly has adequate offsets. 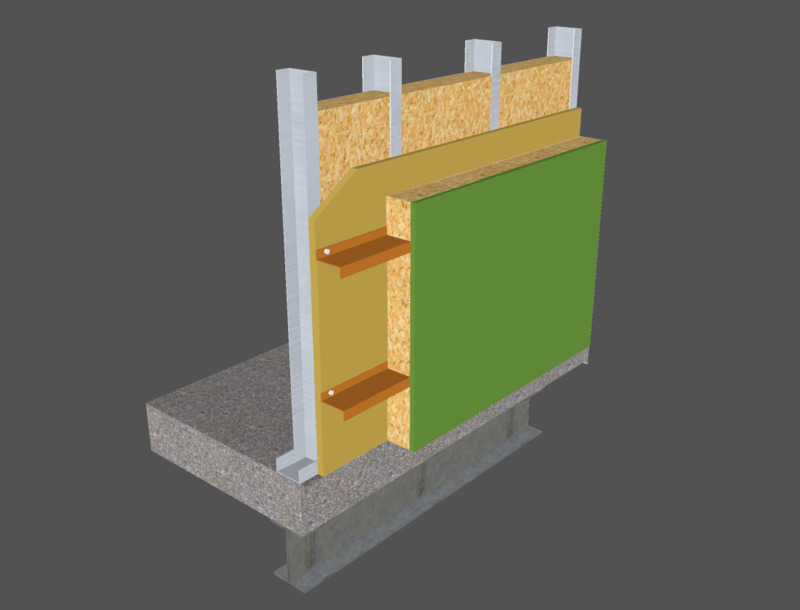 (The focus is on coatings; polyurethane foams for insulation are outside this article’s scope.) A little chemistry is required to fully grasp the concepts, but the desired outcome is for design professionals to know what questions to ask and ultimately to be able to write better specifications and avoid failures. 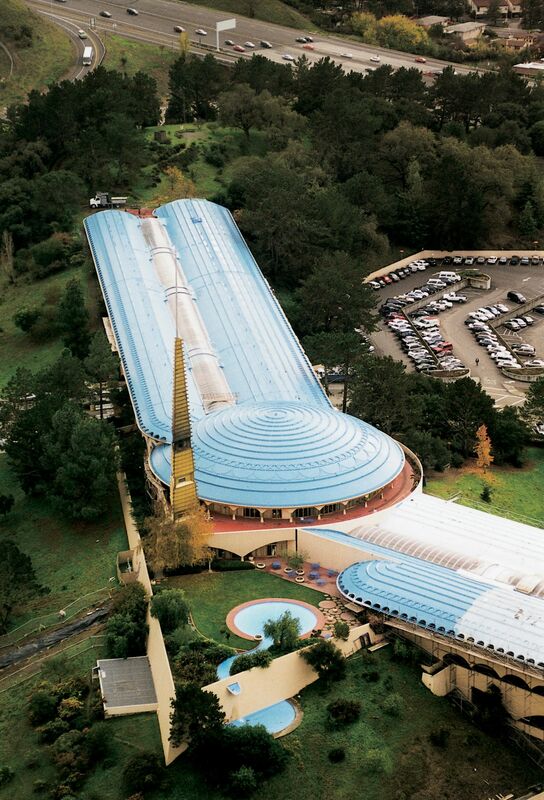 This 100 percent aliphatic polyurethane has exceptional ultraviolet (UV) resistance needed to hold this deep blue color on the very visible roof of Marin County Civic Center (San Rafael, California). The flexibility and hydrophobicity of a specific polyurethane was chosen over an epoxy alternative for this plant near Shanghai. Polyurethanes have the broadest range of any product group: they can be soft as a baby’s skin or hard enough to be machined and tooled. Some may yellow and chalk severely, while others are among the most light-stable coatings available. Chemical resistance, including water resistance, is similarly variable. Polyurethanes combine toughness and flexibility—a unifying trait that comes from the urethane linkage itself. Urethanes form a molecular spring based on the intense attraction of the urethane groups to each other, so they form hard domains within a softer and more flexible matrix. This link is flexible, and more importantly, it is recoverable; this leads to products that combine high tensile and high elongation, and even maintain high hardness and flexibility at low temperatures (down to ?30C [?22 F]) and up into higher temperatures (75 C [167 F]). 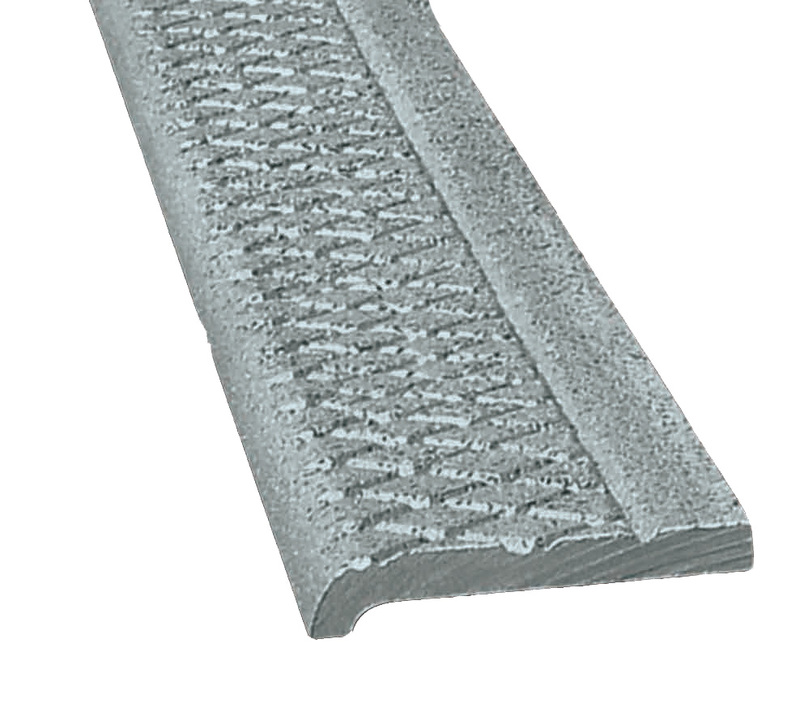 This feature allows them to be used as high-performance coatings, as well as durable foams. In most cases, another key trait is adhesion. As a rule, urethanes bond to various substrates, often better than styrene-ethylene/butylene-styrene (SEBS), acrylic, silicone, and even butyl. Adhesion is important to consider because maintenance coatings are often used over unknown, older surfaces, or even multiple surfaces giving the contractor or specifier a good reason to specify a polyurethane above other more-restrictive options. Beyond toughness and flexibility, all other traits—gloss retention and resistance against abrasion, water, UV, solvents, and acids/alkalines—depend on the ‘backbone,’ as defined later in this article. Application traits are another mixed bag, relying on the nature of the curing chemistry, which is referred to as the ‘curative.’ With the appropriate formulation, there is no other class of product that has a better balance of adhesion, UV resistance, abrasion resistance, and flexibility. By contrast, epoxies are too hard, acrylics exhibit poor abrasion performance, and silicones show relatively weak physical properties as a product class. There are few properties a urethane cannot be formulated to achieve. However, high heat resistance is an overall weakness. Below 75 C is urethane territory: applications include roofing and most industrial and sealant applications. 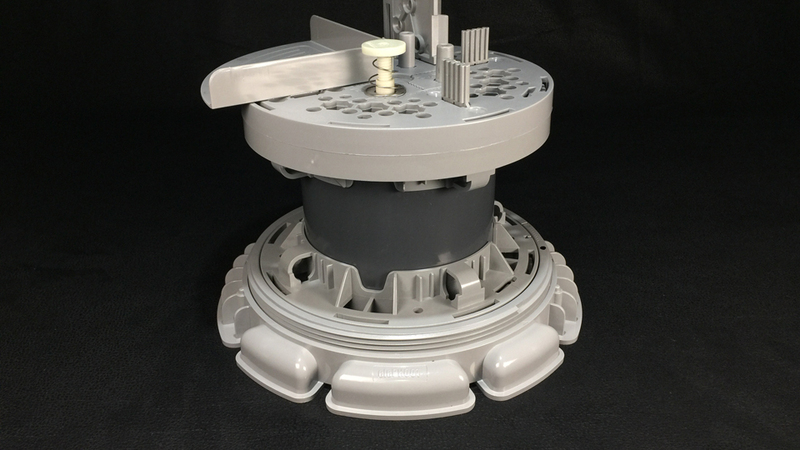 While some specialty urethane products can perform long-term above 100 C (212 F), these high temperature applications typically require silicone and epoxy products. 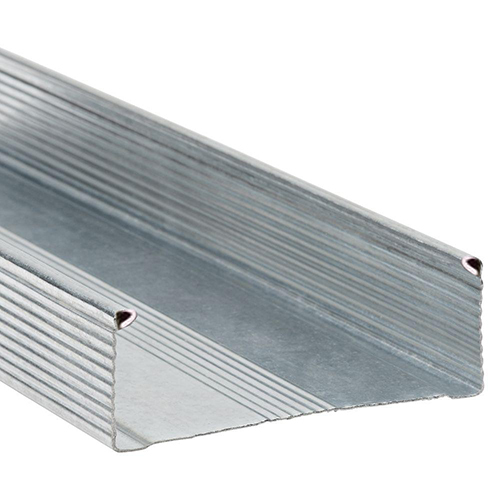 This polyurethane system has exceptional fire retardancy for use on sloped roofs. 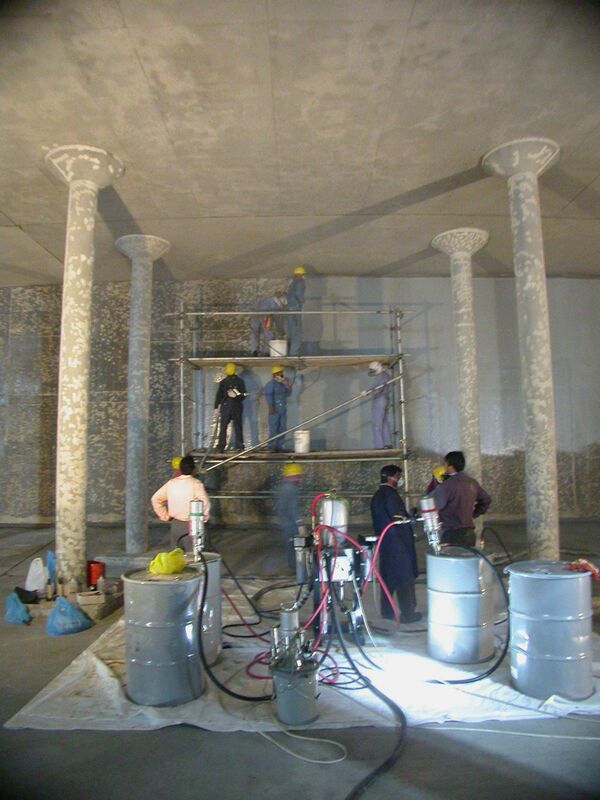 A low-toxicity polyurethane coating was used on the structural concrete for this wastewater treatment plant. ASTM D16, Standard Terminology for Paint, Related Coatings, Materials, and Applications, defines six types of polyurethanes. Like all alkyds, or ‘oil-based paints,’ these cure by oxidation of a drying oil and solvent evaporation. 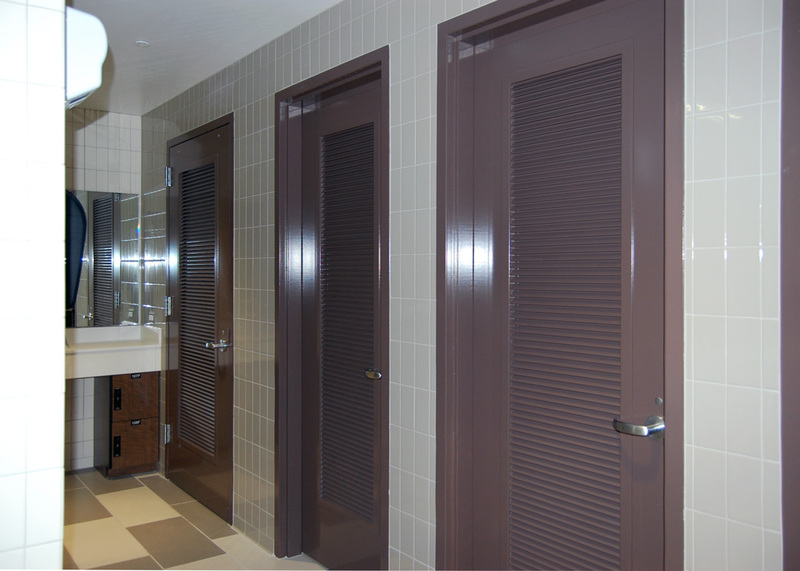 They are used as varnishes, floor finishes, and abrasion-resistant paints. They do not cure by a urethane reaction. In this category, the oil-based paint becomes a platform for using an aromatic polyurethane to enhance the former’s performance. (This is also done with acrylics and epoxies, but in those cases they are not referred to as ‘acrylics’ or ‘epoxies’ in the way varnishes and paints are called ‘polyurethanes.’) Looking at toxicity, they have no free isocyanate, which means they are no more toxic than other alkyds. This important type is often employed in high-performance thin film (i.e. 25 to 75-µm [1 to 3-mil]) floor and industrial paints. This class also includes higher-build (i.e. 0.5 to 2-mm [0.02 to 0.08-in.]) elastomerics such as those described in ASTM D6947/D6947M, Standard Specification for Liquid-applied Moisture-cured Polyurethane Coating Used in Spray Polyurethane Foam Roofing System. This class uses atmospheric moisture to act as the curative, allowing them to be reactive 1K products. This can cause problems and limitations along with advantages. Unreacted isocyanates, such as those found in Type II urethanes, react with many other chemical species found in wood, metal, epoxies, and acrylics—this gives these resins exceptional adhesion. Moisture cures are often high in solids, relatively low in viscosity, and have moderate volatile organic compound (VOC) content. When they cure, however, they release a lot of carbon dioxide (CO2) gas. Consequently, Type IIs used in flooring and corrosion protection need to be applied thinly, so not too much gas is evolved from curing. Elastomerics have a lower concentration of isocyanate, allowing them to tolerate thicker films before they exhibit the same foaming problems. The moisture cures require experienced contractors because bubbles, foaming, and blisters present high risks. Most of these Type II products are aromatic, which means they will yellow. ASTM D6947 moisture-cured coatings used in roofing are typically blended with asphalt. These sealants and coatings are not UV-stable, but when used for roof details and crack-bridging or caulk applications at thicknesses approaching 2 mm, they can weather for more than a decade. These elastomerics are generally not used as maintenance coatings. Instead, they are reserved for industrial products, car bumpers, or technical fabrics for sportswear. These materials are similar to the Type IIs; in fact, some may simply be a Type II product offered with a liquid curative. This eliminates the need to rely on atmospheric moisture to cure the resin, and it avoids the release of CO2 gas. They generally have higher solids content and moderate pot-life in the range of an hour. They are still prone to problems with CO2 gas when used carelessly. 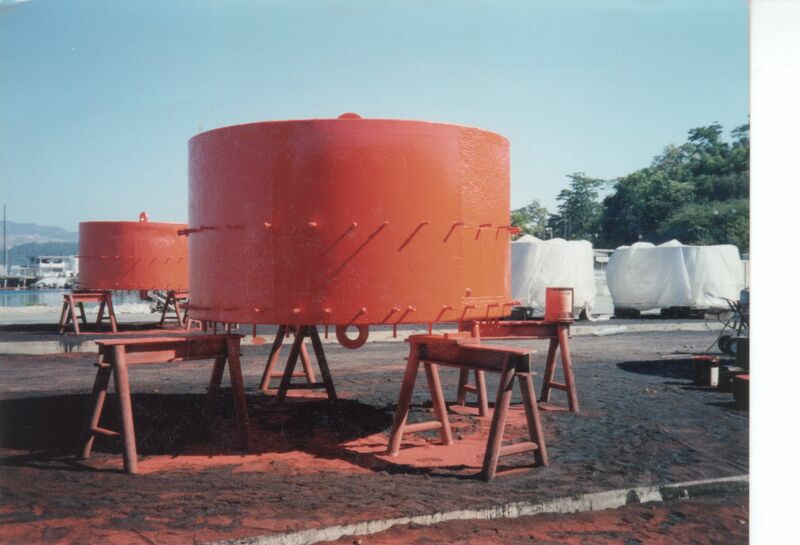 As an example of diversity within polyurethanes, there is a Type IV industrial that uses a pure aliphatic resin cut in solvent and is cured as a polyurea—it achieves 34,475 kPa (5000 psi) tensile and 400 percent elongation, is easily sprayed, and has a two-hour pot-life. Further, as a polyurea, it is not affected by moisture at all. Another case is a sub-group used in roofing and flooring: moisture-triggered (oxazolidine) cured aliphatic urethanes. They are described in ASTM D7311/D7311M-10, Standard Specification for Liquid-applied, Single-pack, Moisture-triggered, Aliphatic Polyurethane Roofing Membrane. This is another example of a specific urethane chemistry not prone to gassing even in thick films due to the special chemistry of the oxazolidine curative. VOC restrictions have largely eliminated this type of polyurethane from commerce, but they may still be found in adhesive applications. (Water-based urethanes, or ‘urethane latex,’ could also be included here.) Often blended with acrylic emulsified resins, these are finding use in floor coatings, primers, and other high-performance and specialty applications. There are a few words of caution related to the use of the term ‘urethane,’ which can be a marketing selling point. There are examples where a urethane material has been used to thicken an acrylic latex product, which is then illegitimately branded as a urethane. In other cases, a low level of a legitimate urethane resin may be added for marketing purposes. A urethane’s key properties—being flexible and tough—does not ‘play well’ with the high levels of fillers typically included in vinyl, styrene-acrylic, and acrylic paints. If a product has a high density (i.e. > 1.4 g/L [11.7 lb/gal]), then it is functionally not a urethane. 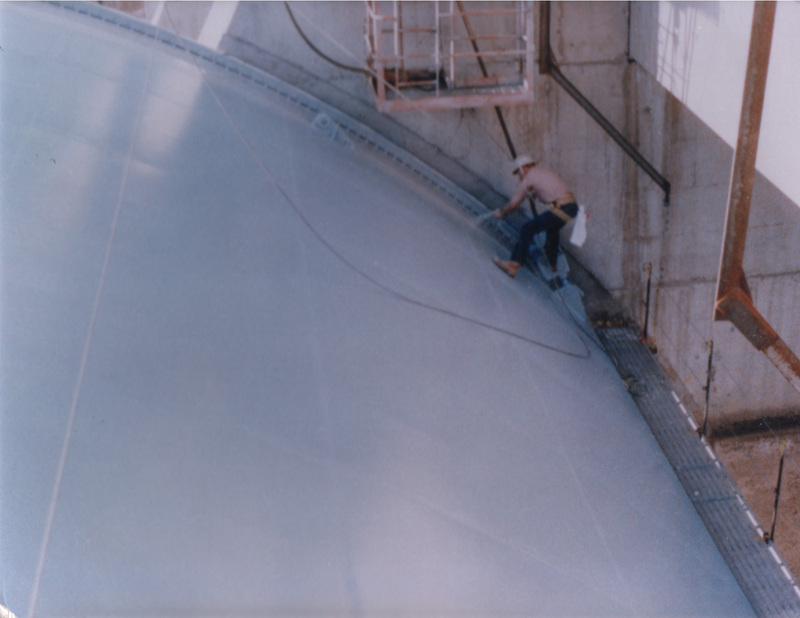 For this underground concrete storage tank, a polyurethane able to resist alkaline patching materials was required. For most specifiers, the best understood difference between types is aliphatic (highly UV-stable) versus aromatic (less UV-stable) urethanes, which is based on the type of ‘iso’ they have. The curing chemistry is generally recognized and understood in terms of application by the experienced contractor. The backbone is the softer portion that forms a matrix around the urethane groups. The backbone is itself a polymer, and so it bring its own set of strengths and weaknesses. For example, if the backbone is not UV-stable, even an aliphatic urethane may not exhibit good weathering. This level of detail gets lost in technical data and specifications; it is rarely adequately captured by the test reports—and this is where things can go wrong. While the list of materials shown in Figure 1 covers most products, it is not comprehensive—there are more than 300 potential combinations, and each could perform quite differently. Further, this list does not take into account the fact coatings are compounded products that allow blending of these materials in various ratios. Fortunately, a much smaller subset sees use as coatings. 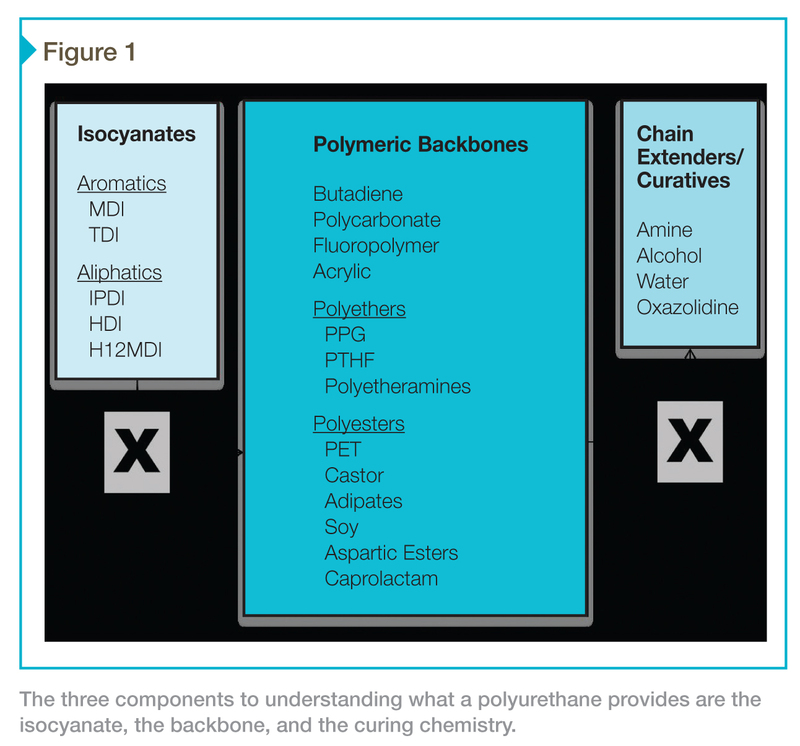 Figure 2 lists polymer backbones representing at least 95 percent of the commercial volume of coatings and their typical application. 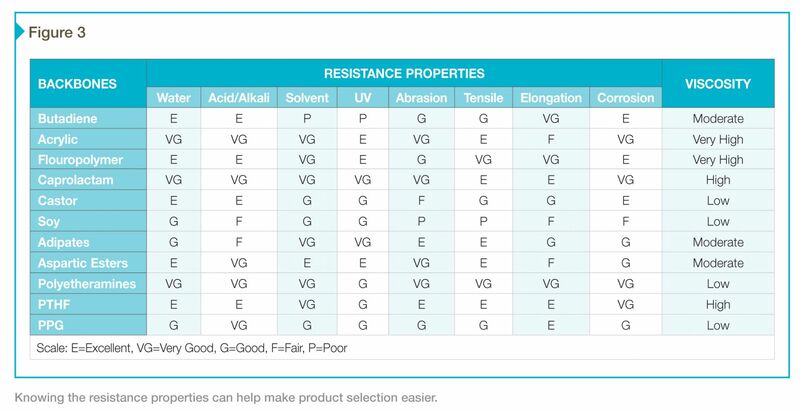 Drilling down a little deeper, the resistance properties in Figure 3 make product selection clearer and more specific. For example, an aliphatic acrylic is a step above most polyester-based urethanes, and so they find use in automotive applications. Castor is a bit weak physically, but its water-resistance and low viscosity mean it can be used to good effect in a 100 percent solids adhesive. Castor backbones can be found blended with other agents to achieve a lower VOC. This is significant because increasingly restrictive VOC rules favor materials inherently lower in viscosity. One hears more about polyethers, castor, aspartic esters, and polyetheramines (as polyureas) being used to meet VOC restrictions. Often, the backbones that require the most solvent are the toughest. Materials including polytetrahydrofuran (PTHF) and acrylic polyols are seeing less use. The material polycaprolactone, which once might have found use in a high-end roofing product, will now be used as a substitute for an acrylic in a less cost-sensitive industrial paint application as it moves up the VOC and cost ladder. Products are changing in response to regulation, and achieving lower VOC content is linked to changes in the backbone and curative chemistry. For this reason, one should always specify with reference to the backbone. When a certain product worked as a low-build industrial finish for metal, and was an aliphatic acrylic, then “aliphatic with acrylic backbone” should be accordingly specified. It is important not to overlook referencing the material safety data sheet (MSDS) as a possible source for this information. 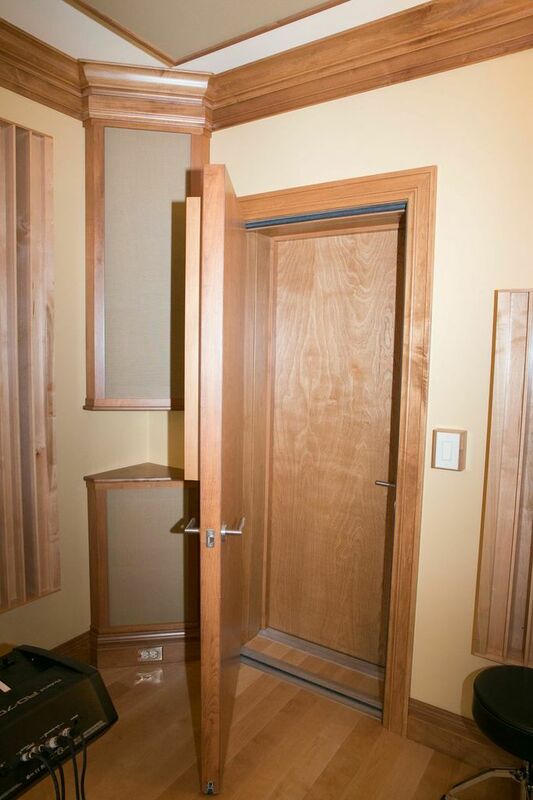 At the same time, a specifier will be forced to accept compromises to meet VOC restrictions; he or she must be careful about these inevitable substitutions. Another area where urethanes excel is to serve roles within coating systems to meet specific challenges. A common roofing practice is to use an aromatic primer or base coat with an aliphatic top coat. These pairings can also be done with other properties. Today, a manufacturer might use a primer based on aromatic isocyanate and castor that will have lower costs, reduced VOC content, and excellent corrosion resistance, and then pair it with an impact-resistant, aliphatic polyester top coat that meets a lower VOC rule—together, they cover the needs. A traditional combination is to use an epoxy primer and an aliphatic urethane surface coat. This works because the epoxy primer typically has unreacted amines available to the isocyanate for reaction—a single molecule between the primer and surface coat. The point is these products work as a system, and substitutions that are not specific cannot be expected to perform the same. In the paint industry, there is little standardization and few requirements for third-party testing. In roofing, there are more specific protocols, but not many for polyurethanes. When looking at a technical data sheet, the reality is the values shown—for example, “250% elongation per ASTM D412”—may state a method, but are not well-defined and often lack sufficient context for the public bid process and apples-to-apples comparisons. Although an ASTM test is cited, the values reported could have been derived in many ways and under different conditions. For example, manufacturers could run the same test methods under two conditions to get optimal values for tensile and elongation. This is not to suggest TDSs are all useless or deceptive, but if one were to compare products between manufacturers based on independent testing and technical data, the information may be nebulous. Third-party testing organizations tend to maintain a more consistent practice and should be requested. ASTM WK9048, Elastomeric Coatings Used in Spray Polyurethane Foam Systems (the current designation for the new classification due to be published next year). These material standards include specific test methods: they define how the test is run, how the sample is cured, how thick it is, and other parameters allowing the data to be used for commercial comparisons. Another hard truth about testing is it is often not demanding. In many cases, procedures are run without comparison to some type of control or to unfavorable conditions; consequently, they are unlikely to be run until failure. For example, it is not unlikely for a urethane to sport a D412 tensile of 13.8 MPa (2000 psi). That same product tested after immersion in water for 28 days might only have a tensile of 2758 kPa (400 psi), but this would not be reported on the TDS. Unfortunately, the post-immersion tension value is the more appropriate one for a deck coating. Another product may note a 6895 kPa (1000 psi), but may have a 8274 kPa (1200 psi) after 28 days of immersion. In short, traditional paint testing does not predict service life. Most troubling is how this data gets used in commerce. A bid may be lost for $0.20 on a basis of $30 per gallon, which is less than one percent of the total. This process rests on the assumption testing values are the most relevant factor, and they allow for direct comparison between different products. The tests are not nearly as precise as the accounting, and worse, the tests typically are not run in the same manner. If the product is only described as a ‘polyurethane,’ the chances are good one will be picking a product based on only the tensile value under ASTM D412, Standard Test Methods for Vulcanized Rubber and Thermoplastic Elastomers. There are many other important product attributes that need to be considered beyond this limited view—for example, ASTM D471, Standard Test Method for Rubber Property: Effect of Liquids, which tests the effects of water, is singularly useful. It is important to bear in mind any number without context is not necessarily good information and a low test value is not reason enough to reject a product with a long track record of performance. “Or equal” substitutions in specifications involving polyurethanes are intrinsically risky. ASTM D412 Tensile initial and after 1000 hours of ASTM D4798 weathering at 0.35 watts/m2 @340 nm. less that 30% loss of the original value when run per ASTM D-6497. aliphatic polyurethane using polyurea curative, IPDI and polyether chemistry per ASTM D6497. Polyurethanes are a useful and necessary part of coatings technology, but they are often misunderstood—the confusion can ultimately lead to failures. Specifying a polyurethane by its backbone chemistry is the most important and necessary step to ensure the right product is being chosen for the job. Before selecting a product, specifiers must ask themselves what does it really need to do, where do these products go wrong or how do they fail, and are the properties that play into these failures really reported? Knowing which tests and standardized test methods, or ratios, to use for a specific application can provide the same benefit: a specification that links the track record and expected service life with the specific parameters required for the application. The best approach, however, is not a long list of random test methods, but rather specific testing protocols such as those cited in this article that give the type of comparable data needed for use in open bids. 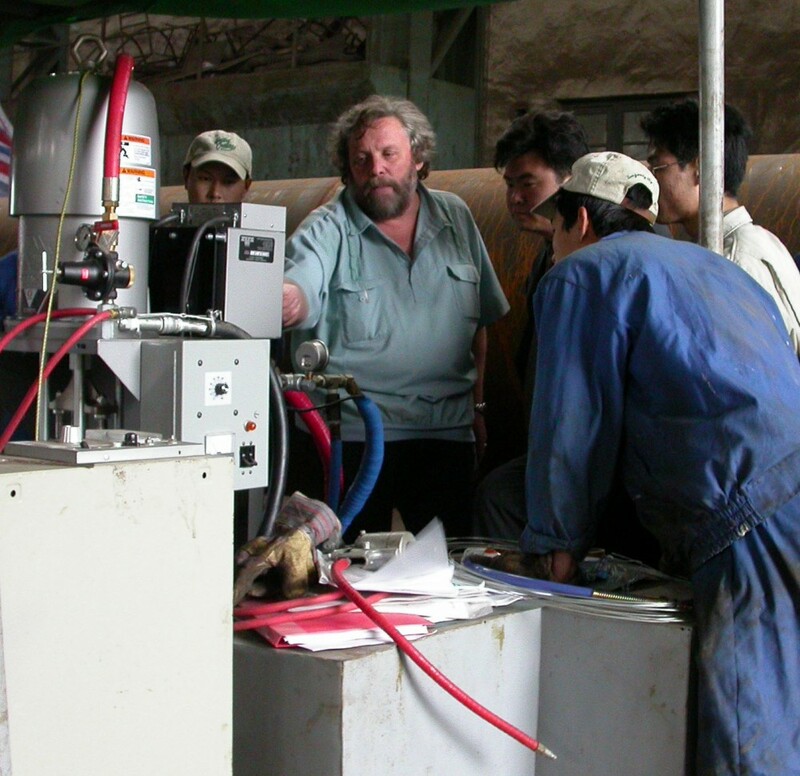 Steven Heinje is the technical service manager for Quest Construction Products, headquartered in Phoenix, Arizona. He has degrees in biology and chemistry, along with an MBA. 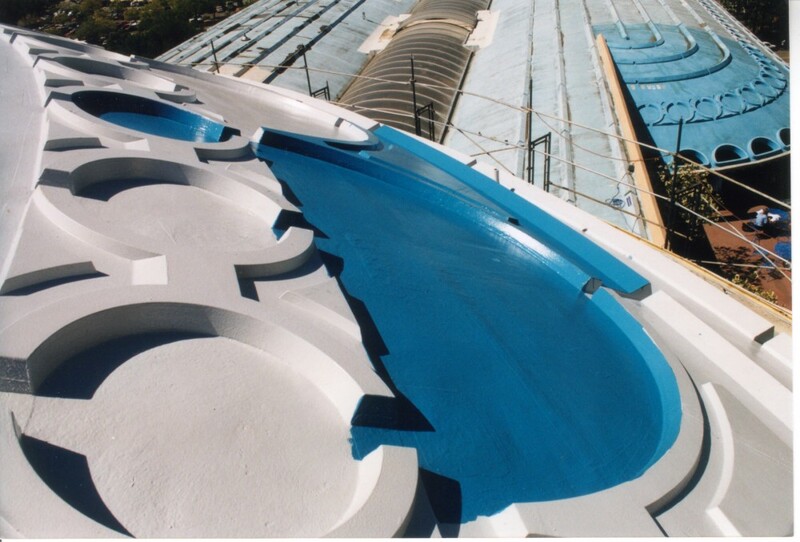 Heinje has 30 years of experience in roof coatings, specializing in acrylic elastomers and urethane coatings. He is a vice president and board member of the Roof Coatings Manufacturers Association (RCMA), and leads several task groups in ASTM D08 roofing, as well as maintaining active memberships with American Society for Quality (ASQ), RCI, Reflective Roof Coatings Institute (RRCI), and the American Chemical Society (ACS). Heinje can be reached at heinje@quest-cp.com. Check out this article for coatings.